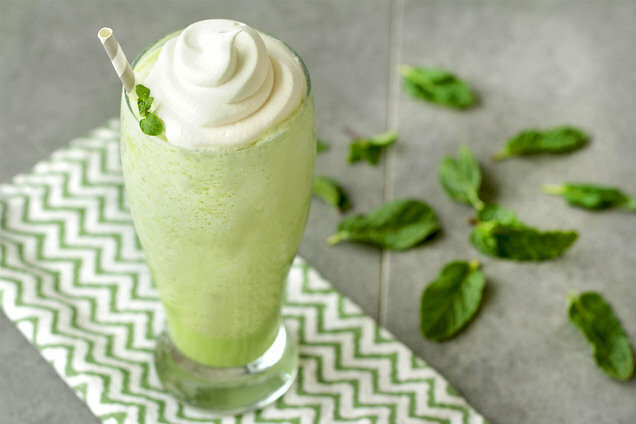 When we decided to make an alcohol-infused version of our Clean & Green Shamrock Shake, we tested it with several different liquors before settling on this delicious recipe. (Oh, the hardships we endure for our readers!) In the end, it was simple white rum for the win. Trust us... Our recipe is a much better bet than spiking the sugary shake sold at McDonald's! P.S. It also tastes excellent after an hour or so in the freezer! Thirsty for More Low-Calorie Cocktails? It's the last day of February, which means the end of Return Shopping Carts to the Supermarket Month... but you should always be doing that anyway. Bonus: Extra steps on your fitness tracker!